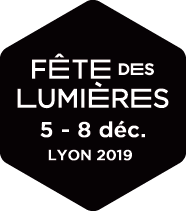 Young artists have taken over Place Charles Marie Widor, using light to transform the way this heritage setting is seen and arranging lighted objects in the open space. A visual path which will liven up the angle between the Sala and Comte streets « Labo des Aspho » . Visitors are invited to go back and forth between the two.